Are Hearing Aids Covered By Medicare? The Short Answer Is No. 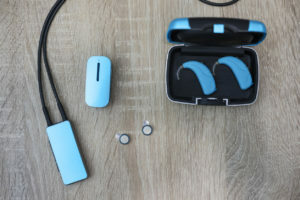 If you’ve been living with hearing loss for a while, or if you’ve recently been diagnosed with hearing loss, you may be looking into the possibility of getting hearing aids. If so, you may be wondering if hearing aids are covered by Medicare. As you probably know, more than one type of coverage is available under Medicare. Whether or not your Medicare covers a particular device or service may vary depending upon a number of factors. Before we get into the details, first let’s take a moment to acknowledge that there is a short answer, and a much more complicated answer. We’re going to give you both answers. 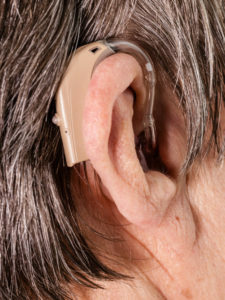 Hearing aids are not covered under Medicare Part A and Part B (original medicare). That said, some medicare Advantage plans, as well as other supplemental plans, do provide some benefits for hearing aids and audiology services. Overall, most plans, regardless if they are a Medicare Advantage plan (Medicare Part C), or a Medigap plan (Medicare Supplemental Insurance) will not cover 100% of the costs associated with hearing aids. We should note however, that under Medicare Part B, you may qualify for a diagnostic hearing exam and your total out-of-pocket costs would only be 20%. Should you discover that your hearing examination, hearing aid, or related service are not covered by Medicare, you may still have other options to help you afford these services. We highly advise that you speak with a licensed medicare professional, who will be able to look up what carriers are providing plans in your geogrpahic area that do provide benefits for hearing aids. Before we examine each distinct part of Original Medicare, Part A and Part B, as well as all of the other options available, let’s quickly review some of the average associated costs of hearing aids. The U.S. National Institutes of Health (NIH) reported in 2013 that only about 20 percent of the people who could benefit from using a hearing aid actually do so. Cost is one of several factors that can affect your decision to seek out help for hearing loss, a condition that affects about half of all American adults over the age of 75. Among the 80 percent of people with hearing loss who don’t use hearing aids, 76 percent cited cost as a factor inhibiting them. The NIH estimated that, as of 2013, the average out-of-pocket cost for a digital hearing aid, including an audiologist’s services in fitting the hearing aid, totaled $1,500. On the higher end, some hearing aids (including fitting) could cost up to $5,000. Projections for 2018 are in line with the averages referenced by the 2013 NIH report. In fact since then, there have been new advancements that for some hearing aid manufacturers, have actually brought costs down for entry level hearing aids. Medicare Part A covers healthcare services performed in an inpatient hospital setting, as well as hospice care services. Hearing aids and hearing tests are not overed under Medicare Part A. One bit of good news, is that anyone enrolled in Medicare Part B (Medical Insurance) has diagnostic hearing exams covered by Medicare. More specifically, exams to determine whether or not the covered individual needs medical treatment for hearing loss or other hearing related issues. If a diagnostic exam is covered by Medicare, then Medicare will pay between 20 percent and 80 percent of the Medicare-approved amount, which will also be applied to the deductible. Please be aware that if these exams are performed in an outpatient setting, a co-payment may also be due at the time of services. If you want to find out whether or not a particular exam, device, or audiology service is covered by Medicare Part B, you can visit the Your Medicare Coverage web page. You can simply type the name of the exam, device, or medical service into the search bar, hit enter, and find out whether that specific item is covered by Medicare. Again, we covered this before, but it is true that neither hearing aids nor hearing aid fitting exams are covered by Medicare Part B. If you’re covered only by Medicare Part B (Medical Insurance), you’ll be responsible for 100 percent of the cost of the hearing exam, hearing aid fitting exam, or hearing device. Medicare Part B is designed to cover both preventative services and services which are medically necessary. 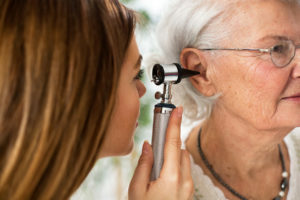 While hearing loss is a condition that can quite seriously affect your quality of life, hearing loss is not, in and of itself, considered to be a condition that’s medically necessary to treat according to the rules of Medicare. Medicare Part B is a fee-for-service plan; Medicare Part C requires participants to pay a monthly fee in exchange for coverage of non-emergency healthcare services. These services have to be provided by pre-approved healthcare practitioners who are typically either designated as preferred provider organizations (PPOs) or health maintenance organizations (HMOs). In this way, Medicare Part C is more similar to a private health insurance plan than Medicare Part B is. Health insurance plans that fall under Medicare Part C are administered by private insurance companies. These plans must cover all of the benefits that are covered by Medicare Part A and Medicare Part B, collectively referred to as original Medicare. Medicare Part C plans may, depending on the plan, cover addition services not covered by original Medicare. These additional services might include an annual physical exam, dental care, prescription drug coverage, and, although such plans are relatively rare, hearing aids and routine hearing care not related to a medical condition. Whether or not your Medicare Part C plan covers hearing exams and hearing aids is determined by the specific policy. To find out, you’d first have to contact the insurance company that issues the policy and then find out whether hearing aids are covered by your Medicare Part C plan. If services are covered, you’d then need to know which providers are in the network of healthcare providers contracted to deliver services (if any) according to your specific health insurance coverage plan. Insurers may require those who enroll in a Medicare Part C plan that covers hearing aids to pay a monthly premium in addition to the monthly premium required for Medicare Part C itself. 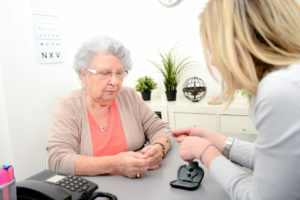 Some Medicare Advantage plans that partially cover hearing aids and audiology services also require the insured person to pay a co-pay or a co-insurance fee. Depending upon the plan, these fees might be a set amount, or they may be a specific percentage of what the audiologist charges. Some of those enrolled in Medicare Advantage Plans whose managed care services are delivered through an HMO may qualify for a Special Needs Plan (SNP). SNP plans cover some individuals who live in nursing homes, people with certain medical conditions, and those who would qualify for both Medicare and Medicaid. This coverage varies by individual plan and by provider, so if you’d like to know more about SNP plans you’ll want to get in touch with your insurance company. Because Medicare doesn’t cover all health care expenses, those enrolled in Medicare Part A and or Medicare Part B are eligible to enroll in a supplemental insurance plan. These plans are often referred to as “Medigap” insurance policies because they’re designed to fill in the gaps, or services not covered, by original Medicare. Some Medigap health insurance policies may cover hearing aids, exams to get fitted for hearing aids, and related expenses. If you want to enroll in a Medigap plan and know or suspect you will want to be examined for hearing loss, you’ll want to speak with a licensed Medicare enrollment professional (licensed agent) about coverage of hearing aids and related expenses before enrolling in a new policy. For Additional Information on 2018 Medigap Plans please see the following article that has updated information on how to explore your options for a Medigap Plan.